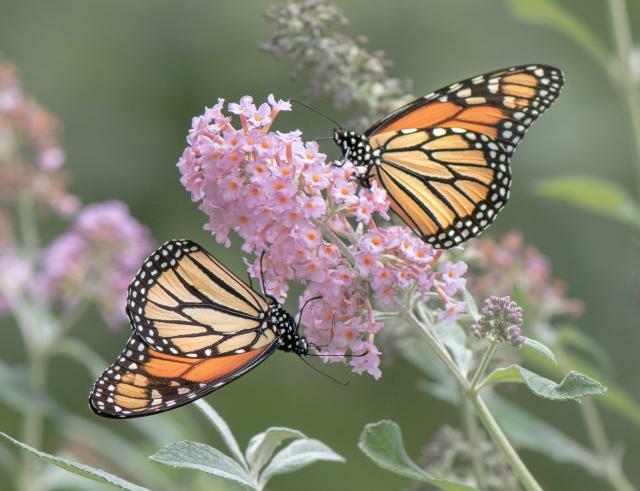 The migration's leading edge has stalled in the Midwest, where headwinds are holding the butterflies back. Strong and persistent south winds across the Central Flyway have held the migration in place for the past week. What do the butterflies do while they wait? "I found over 20 monarchs hanging on for a rough ride in 30 mph gusts - having a feeding frenzy on New England Asters on the acreage here. 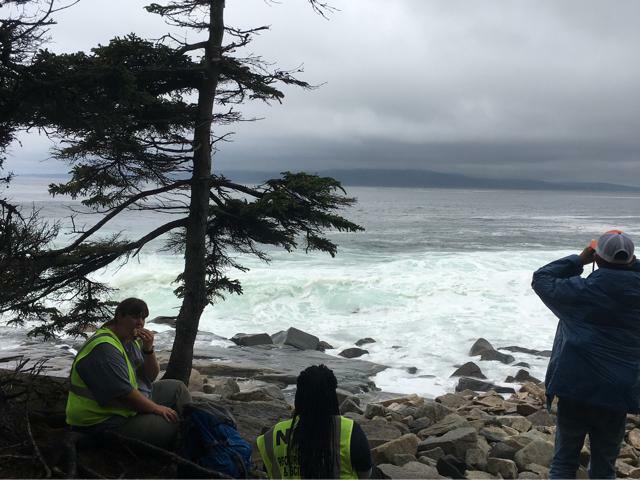 Very high winds today and warm, humid conditions," wrote Bruce Morrison from Southerland, Iowa on the 19th. A first roost was finally reported in Kansas on September 20th. We've been waiting since last week for the leading edge to arrive. "The front hasn’t really arrived here. 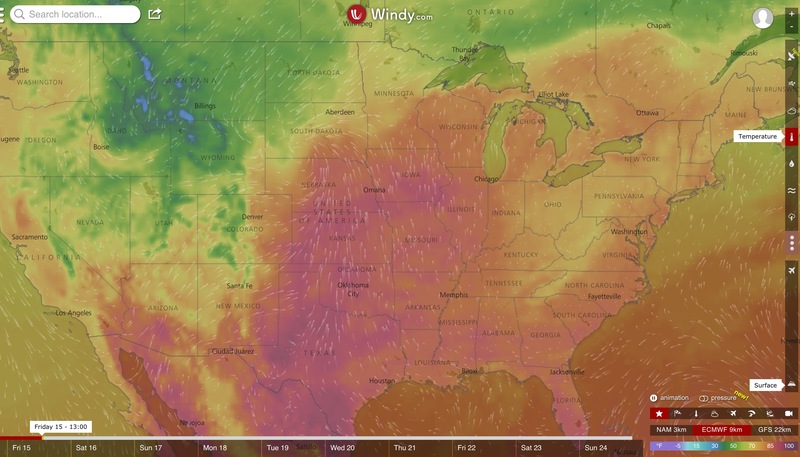 It’s quite late and strong winds and high temps in the Midwest threaten to slow down the migration most of the next 10 days," wrote Dr. Chip Taylor from Lawrence, KS on the 18th. During a brief north wind this week, a clear pulse pushed through the Great Lakes region, where activity has been high for almost a month. 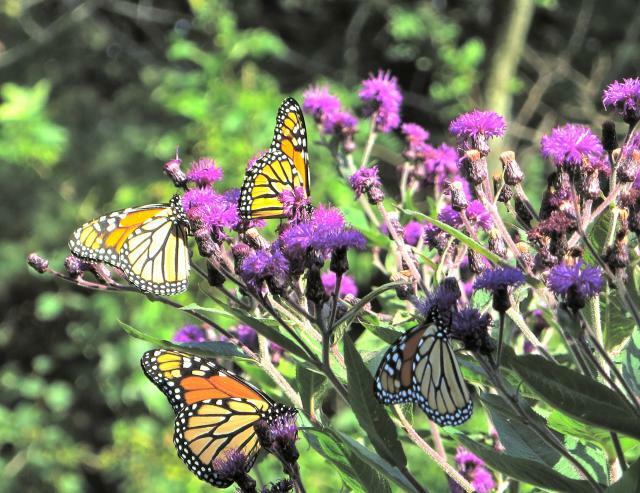 "I'm wondering if warm weather may prolong the migration," wrote monarch expert Don Davis. 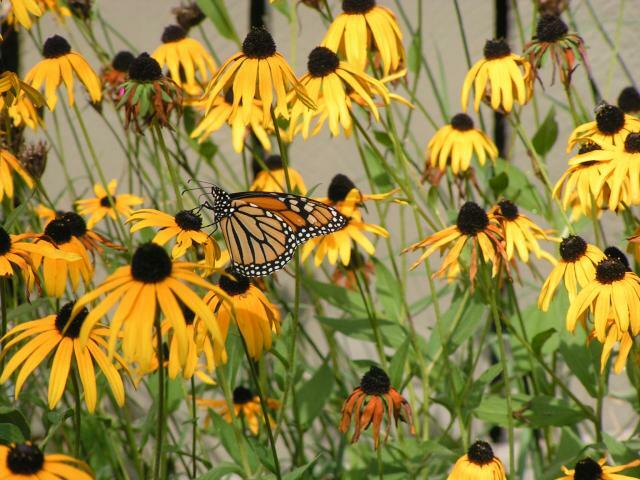 Blown to the coast by northwest winds, monarchs travel along the Atlantic Ocean shorelines. Migration ebbs and flows for 2-3 weeks in response to wind and weather. "Steady activity coming in from the north all day," wrote Vidette Todaro of Cape May, NJ on the 20th. shortening the nectar-producing phase of flowers? extending bloom-times because frost is delayed? Scientists watch for ecological mismatch, where the timing of natural events are out of sync. What was discovered under a rock in a hayfield in New York? 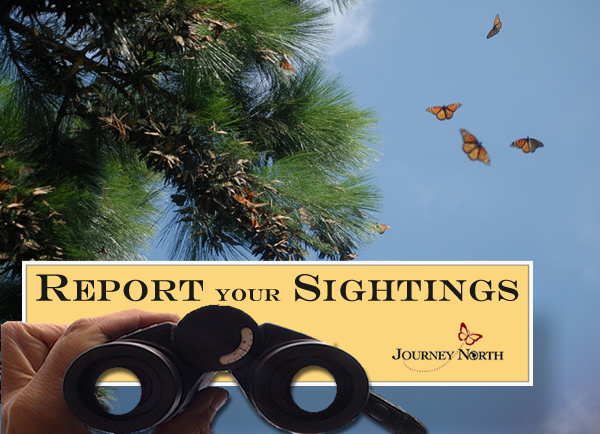 Monarch biologist Dr. Chip Taylor shares his thoughts about the surprising sighting. 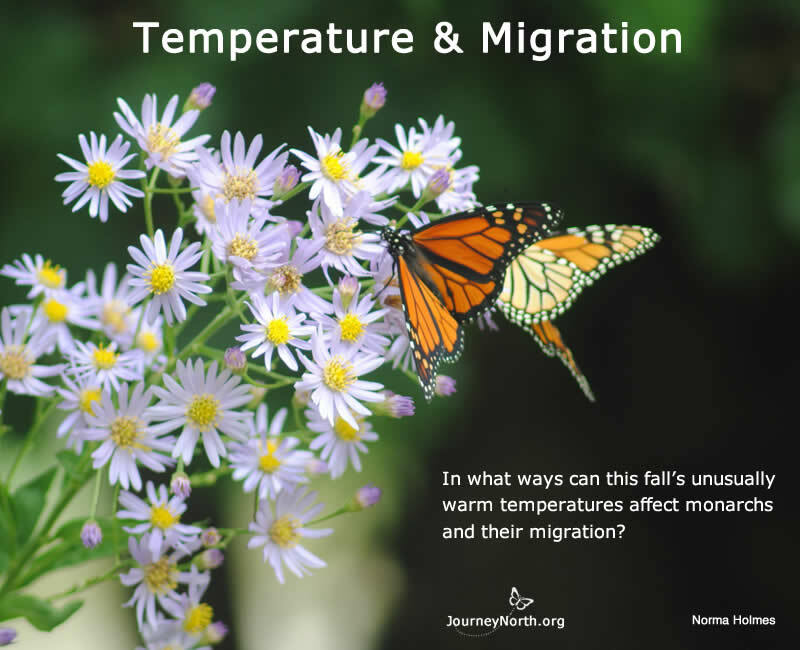 In what ways can this fall's unusually warm temperatures affect monarchs and their migration?